There is a saying that goes something along the lines of; the only time you should take up betting is when you see a bookmaker going to work on a bicycle! Whilst it is true that being a punter is always something of a battle, with you having to use your knowledge, skill and judgement to pick the correct outcome of any sporting event, there is a new and more potentially rewarding way for you to place wagers online. This is by utilizing an online betting exchange, this is where the most savviest of punters have turned their attention in recent years, as unlike standard betting sites where you are hoping to pick just the winning outcome of any sporting fixture, instead you can for all intents and purposes become a bookmaker yourself, by offering your own odds on sporting events. A betting exchange is simply a peer to peer betting site where you can place your wagers in the standard way, that being by you simply picking the winning outcome of a sporting event, however you can also additionally offer odds on any sporting event and have other punters take your odds, and quite simply put, if their wagers lose, you get to keep their stakes. Betting exchanges have revolutionized the way people look at betting, as by using them you are going to find the actual odds on offer often far outstrip any odds offered by standard betting sites, and as you can back selections to win whilst also laying them to lose you could find yourself guaranteeing a profit on your wagers. One of the biggest and most populated online betting exchanges is the one of offer at the BetFair site, with millions of wagers placed each day you are never going to go short on betting opportunities, and if you have a passion for any one particular sport, and want to use your knowledge to profit from betting then you really ought to be joining up to this top rated betting exchange. 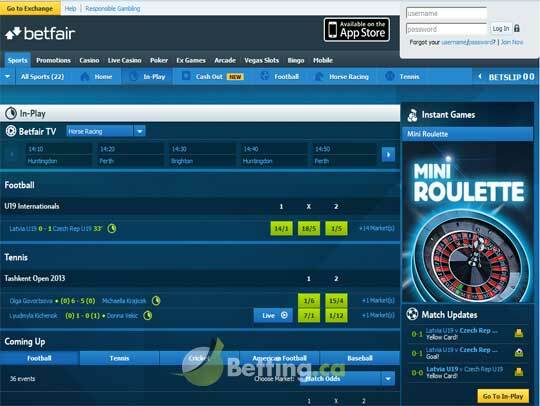 Below is an overview of the many different types of wagers you can place at the BetFair betting exchange, if you have never come across such a site before and want a more in-depth guide on how to place any kind of wager they offer, then do visit their website which comes packed with information and step by step guides on how you can utilize their betting platform. Laying a Bet – When you are convinced that something is not going to happen in any sporting event, then you can offer your own odds on that event, this is known as Laying a Bet. So for example let us say two soccer teams are playing against each other, Manchester Unite and Liverpool, and you are convinced that Liverpool will not win that match, then at BetFair you can offer any odds you want on Liverpool. Should a user of the BetFair betting site have the opposite opinion than yourself, and be interested in taking you up on your odds then they simply place their wager and should Liverpool lose that match, as you predicted then you get to keep their stake money. However if Liverpool win that match then you have to pay out that punter at the odds you offered, based on the stake amount that punter placed. How much of your own money you put up is of course up to you on any type of Lay wager, so if you offered odds of 2 to 1 on Liverpool winning and have put up 100.00, then a punter can place a maximum of 50.00 on your wager, and if Liverpool lose you will then keep their 50.00 stake money, if Liverpool win you must pay that punter the 100.00 in winnings. The system used by BetFair removes both your maximum liability, in our example 100.00, from your account and the other persons stake money, in our example 50.00, from that customers account as the soccer match gets under way, and once the match has finished and the result declared they will then payout the winner of the bet, either 50.00 to you or 100.00 to the punter, less a small house commission. You can place a Lay wager on any of hundreds of different sporting events and fixtures and you can put up any amount and at whatever odds you like, obviously the more attractive your odds the more likely you are to find someone interested in taking them! 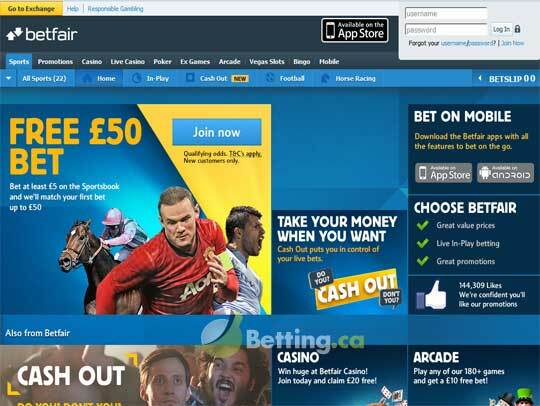 Backing a Selection – You can of course use the BetFair betting exchange much like you would a standard betting site, and as such you can place a wager on any selection to win, this is known as backing a selection. However what makes a betting exchange such as BetFair so very unique, is that you can ask for the odds you want, and as such anyone Laying a Bet can then opt to give you those odds you are hoping for, which means you can get tremendous value from all of your wagering opportunities, by asking for higher odds than standard betting sites are offering! 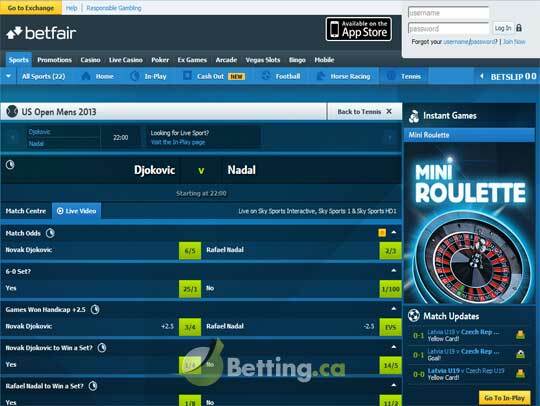 Live In-Pay Wagering – One additional feature of the BetFair betting exchange that you may find interesting, is that once a sporting event has started, a brand new market is brought into force. This is known as a Live In-Play Market, and as such the odds on the outcome of the sporting event or fixture will fluctuate, often wildly as certain things happen during the event. This means that if a football teams scores or a player gets sent off as the match is underway, you can still lay a wager or back a wager on the outcome of the match. This is where many punters will hedge their bets placed before the game got underway, and an experienced BetFair customer can time and time again guarantee a winning profit by betting both before the game has started and during the game.